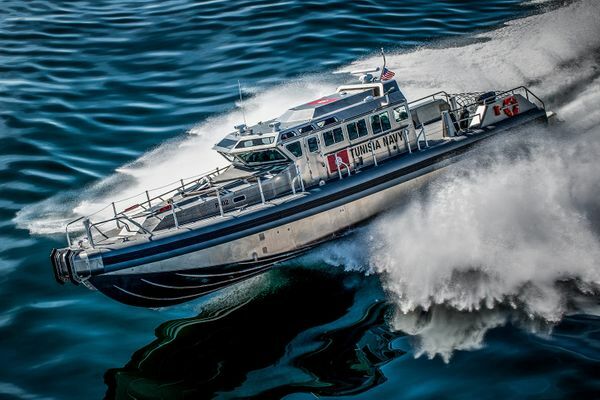 "In extreme environments and at speeds that exceed 60 knots, whether it’s from a chase boat or helicopter, Ernie always delivers creative, stunning and vibrant photographs that capture the essence of the SAFE Boat brand. Our marketing message would not be the same without him." "Ernie manages to find that nugget of truth in a moment of time. He draws out images that might surprise... make you proud, make you think and definitely make you want to work with him again. He goes for the soul without anyone feeling like a ‘subject’. He’s a camera bag full of talent, quick wit, quick response and an uncanny ability to get to the heart of a moment. Takes a one-of-a-kind photographer to see the unique in others. Nothing commonplace in the world of Ernie Sapiro. You’ll see." "I watched Ernie work with the non-professional models we used for an article I was writing. Within minutes, he established an easy rapport with them. The models started having fun, relaxing, and glowing in front of his camera. All of this great play led to stunning, creative, and targeted results that met our publication needs." "Based on Ernie’s apparent talent for getting his subjects’ true selves to shine, we hired him to do head shots for our small law firm. We couldn’t be happier. Everybody looks his or her best. Ernie is a treat to work with, knows how to put camera-shy people at ease, and is a true professional." "Ernie became part of the Halquist Productions team in 2012, and has played a big role in helping us become the premier combat sports promotions company in the Northwest. Our fighters and fans rave about the quality of our shows and the images that Ernie captures. As the company's publicist, Ernie's photos have increased the PR quality of my work, giving reporters and editors amazing images that have had a tremendous impact on our press coverage. Ernie consistently goes above and beyond, perfecting his craft and wowing everybody in the process. Ernie doesn’t just take pictures; he truly captures the moment." "We own a conference for high level Corporate Chefs and their Food & Beverage counterparts. Talk about people who are picky about what they do and how it looks – and that also includes how it looks in a picture. We worked with several different photographers over time…until we worked with Ernie Sapiro. That was it…no other photographers since then. Ernie listens to what you need, finds out your objectives and what you expect as the outcome – straightforward. The good part is that he “gets it” – and he’s creative. He always exceeds our expectations…like when he brought a drone so we could get really great overhead shots. We also love Ernie’s quirky personality and the fact that he is not full of himself (and believe me, he could be). His work is terrific because it’s all about the customer’s objectives all the time." "I recently worked with Ernie Sapiro on a music project and it was an absolute delight. His top notch technical chops, highly developed artistic eye, and spot-on sense of timing resulted in hundreds of outstanding photos that perfectly captured both the behind-the-scenes action and on-stage performance. Ernie is, without a doubt, the real deal and I would work with him again in a heartbeat." Nancy Guppy, Host/"Art Zone with Nancy Guppy"
"Ernie's ability to capture anything in camera is unsurpassed, plus the on set experience is the most fun you will ever have working." "I have worked with Ernie multiple times as an art director and once as a subject. Ernie is creative and passionate about the artform (passed down from his father probably) and has an energy, enthusiasm, and humor that coaxes the personality out of the people in front of his camera. When art directing, he captured the shots I envisioned and elaborated on those directions and themes with his own valuable and creative compositions. The images were fantastic quality and delivered professionally and quickly. And it's incredibly refreshing to work with someone who is genuinely excited about what they do."